Eravikulam National Park tour is a heavily promoted part of Munnar holidays. Just 13 kms from Munnar, the 97 sq km park spreads along the heights and slopes of the hills of Western Ghats. 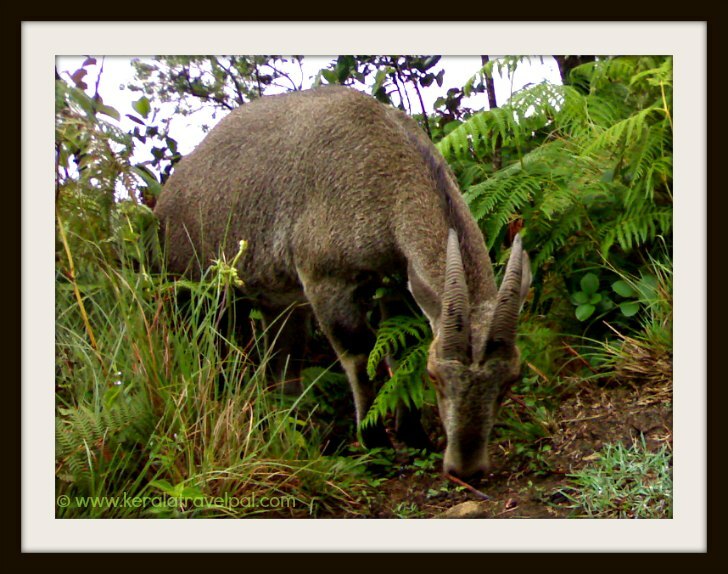 The prime attraction is Nilgiri Tahr (Hemitragus hylocrius). Apart from these impressive names, it is just a simple mountain goat. Eravikulam Park is primarily focused on sustaining these creatures, which are on the verge of extinction. Thanks to sustained efforts, goat numbers are nicely building up. That is commendable because this is the largest habitat of a creature that is found in very few places. Eravikulam reserve has a host of other wildlife, the likes of Elephants, Giant Squirrels, Lion-Tailed Macaques, Leopards and Tigers. In fact, 26 species of mammals, 132 species of birds, 101 types of butterflies and 19 species of amphibians are found in the park. Sighting bigger animals at the periphery zone where visitors get to, is rare. Sighting of Tigers is almost zilch. That is is simply because most animals belong to the core and buffer zones where visitors are not permitted. The peripheral zone, however, has good enough numbers of mountain goats. They are not really shy and come quite close to visitors. Another highlight of Eravikulam is Strobilanthus, the plant that has become almost legendary because it flowers only once in 12 years. Last time it flowered in 2006, so the next time the valleys to be filled with blue Neelakurinji (Strobilanthus) flowers is supposed to be 2018. A long wait! Infrequent production is sometimes a virtue, isn’t it? The most obvious highlight of Eravikulam is Anamudi.At 2690 meters it dwarfs all the neighbouring blue looking hills to take the title of the largest peak in South India.Anamudi is a hot spot among trekkers. The winding road along the hills is an unwinding experience of alternating forests, shrubs, grassy contours and tea gardens. The park is open most of the year. The months of February and March happen to be the calving season. The park may be closed for the entire period or for a few weeks. That needs to be checked out before making travel plans. The park allows only daily visits and no stay inside, except for limited camping. The most convenient place to stay is Munnar. There are plenty of resorts and home stays scattered all over Idukki district. So where to stay depends on what you want to see and do. Eravikulam is about 13 kms from Munnar and can only be reached by road. Travel along Rajamala road and it is only 4 kms from Rajamala. If you are staying in Munnar, it is easy to arrange transport. 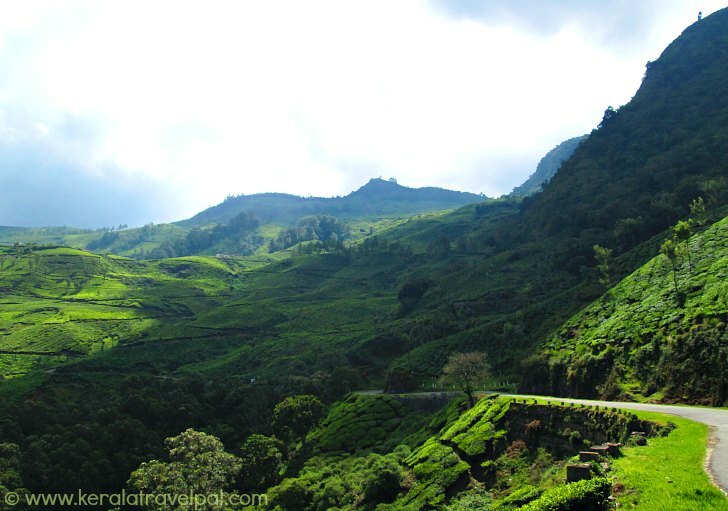 Nearest towns: Munnar at 13 kms. Bus Station: Munnar at 13 Kms. Taxi Hire: Munnar Town at 13 Kms. Railway Station: Aluva Railway Station at 120 Kms. Air port: Cochin Int’l Airport (COK) at 150 Kms. Accommodation Options: Plenty of choice in Munnar. There are many resorts and home stays all over Idukki district. Best time to visit: Throughout the year. The park may be closed during calving season (Feb – Mar) as well as times of fire hazard (peak summer). So check before you make travel arrangements. Nearby Attractions: Lakkom waterfall is quite near. Marayoor sandal forests, Dolmens and Kanthalloor are north of Munnar. Other tourist spots in Idukki are Periyar Tiger Reserve, Kumali, Munnar, Devikulam, Peerumedu, Eravikulam National Park, Mattuppetty, the Arch dam, Idukki wildlife sanctuary, Anamudi, Eco Point, Top Station, Waterfalls of Cheeyappara, Valara, Thommankuthu, Keezharkuthu, Attukal and Chellarkovil, Carmalagiri elephant walk, Anachal, Malankara reservoir, Mangala Devi Temple, Meenuli, Kundala dam and Kalvari Mount.